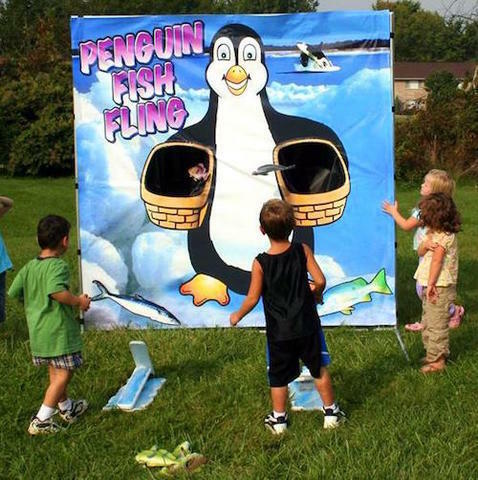 Your guests will FLIP for our Penguin Fish Fling game! Stomp on our ground launcher and watch the fish flip into Mr. Penguin’s picnic basket. Great for kids of all ages!